Çelebi Delhi Cargo Terminal Management India Pvt. Ltd. Has been awarded "Excellent Position under Terminal Operator Category"
Çelebi Delhi Cargo Terminal Management India Pvt. 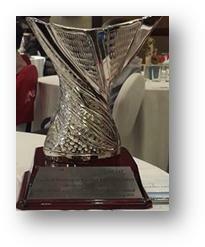 Ltd. Has been awarded "Excellent Position under Terminal Operator Category" in SCALE(Supply Chain and Logistics Excellence) Awards organized by CII (Confederation of Indian Industry Institue of Logistics) held on May21-22, 2015 at ITC Grand Chla, Chennai. The prestigious event included participation from multiple industry actors including logistics&supply chain, automotive, engineering, pharmaceutical, IT freight forwarding and express business etc. Çelebi Delhi Cargo Terminal awarded based on evaluation of the credentials which includes infrastructure, services provided and performance highlights. The evaluation was done by jury members from different corporations/institutionssupported by knowledge partner Ernst&Young.